By now you may have seen some videos online showing horses doing courses that look an awful like dog agility courses. 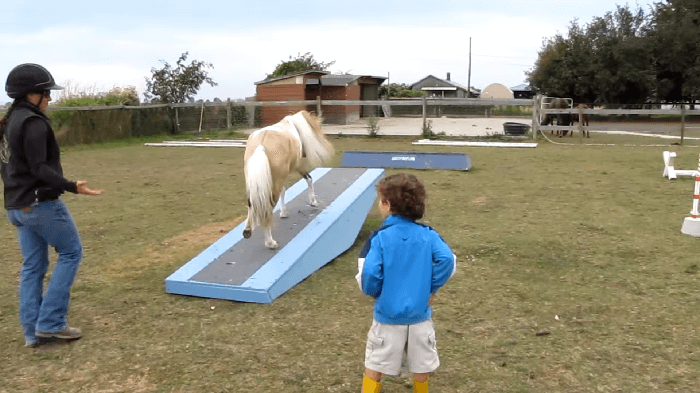 The horses jump obstacles, go over planks, weave through poles, and even have some type of teeter-totter. 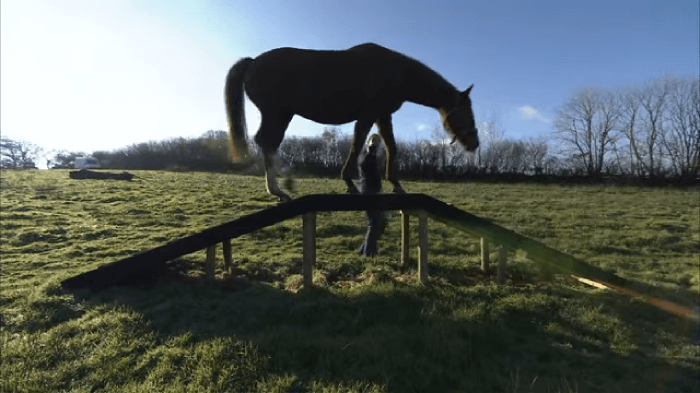 The question that may cross your mind is why – are they just goofing around with their horse and sticking the result on YouTube? After all, it certainly looks fun! But in all seriousness, horse agility is a super fun competitive sport that equines of all types – from miniatures to standards and even mules and donkeys – are participating in around the world. In 2003, Vanessa Bee was having agility playdays – using the obstacles and training to up their horsemanship skills. By 2009, she started to wonder if anyone had devised a standardized competition book for horse agility. No one had. So Bee set out to create it and on December 13, 2009 in Devon England, The International Horse Agility Club (TIHAC) was born. According to their site, the club as over 500 members in the United Kingdom and overseas, with 4o registered instructors and over 800 horses registered as Agility Horses. 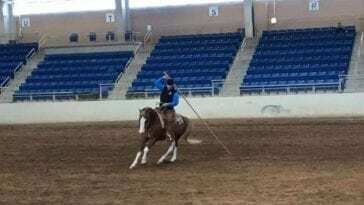 Bee told iHeartHorses that there are no real differences between dog agility and horse agility, except that with horses, some handlers prefer to continue to use a lead rope due to modern horse handling methodology. But, she says, they hope that most people will have the courage to unclip that lead. 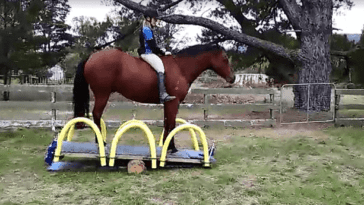 Horse agility gives horse owners a fun way to learn how to really communicate with their horse, in a way they never have been able to and that, above all, is the goal of horse agility. However, unlike any other equestrian sport, they do allow handlers to use clickers and treats on the course. Just one more way the sport is making it all about the relationship between horse and handler. Many of the trainers use natural horsemanship and liberty horse training methods as well. 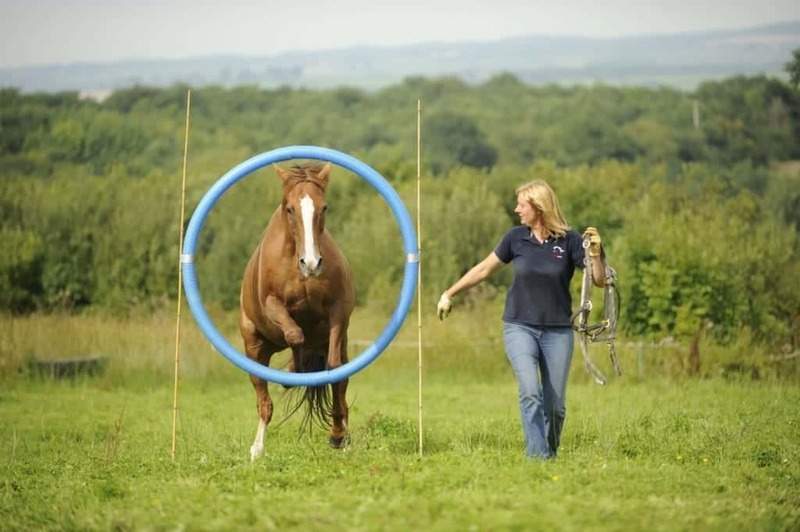 There are many ways to compete in horse agility. Horse Agility Accredited Trainers hold in-person competitions around the world. And, every month, online competitions are held through On Line Horse Agility, which is great if you are not local to an agility trainer. 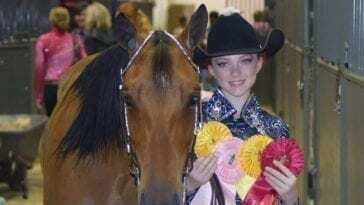 There are lead line, liberty and ridden competitions in several levels, from Starter to Advanced One Star (highest level). Bee also said that this year there will be extra competitions to celebrate the Rio Olympics. 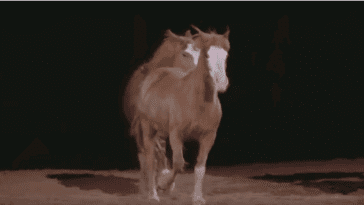 Ready to build your relationship with your horse while having fun? You can start by reading Bee’s book and using her DVD. The DVD starts with basic leading techniques and goes through obstacle acceptance – finishing up with working your horse at liberty. You can also search their site for an accredited horse agility trainer near you. In the shop, you can find obstacles, bases, flags, and cones. 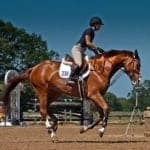 If you are in North America, go to HorseAndRiderBooks.com to order Bee’s Horse Agility Handbook and her DVD. Finally, be sure to join the TIHAC, it has a lot of member-only social hub that is full of information for anyone wanting to learn more about horse agility.